Every year the Environment Team gains a new Sustainability Intern whose position last for a year. This internship provides the incredible opportunity to work for the University of St Andrews Estates Environment Team, helping to support, develop and implement the sustainability agenda across the campus. Over a series of blogs we have invited some of our interns to answer a few questions about their time as Sustainability Intern and what they have being doing since finishing the position. 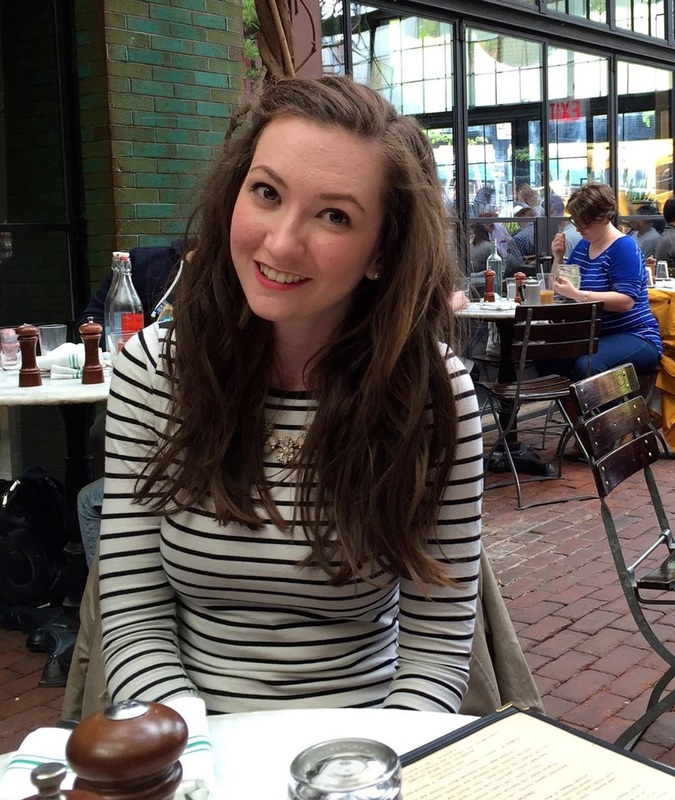 First up we have Lynsey Smith who was with the Environment Team from 2014 to 2015. The people! The role requires you to work with lots of different people: students, university staff, colleagues at other institutions, members of the community and other external stakeholders. It is a great feeling when you are working together towards a common goal, and I was very inspired and motivated by the fantastic ideas generated by our students to help build a more sustainable St Andrews. Green Week and Fairtrade Fortnight were real highlights of my time in the Environment Team. We spent so long planning and preparing for all the activities that it was really rewarding to see so many students, staff, and members of the community getting involved in the work that we do and showing their support by taking the time out of their day to attend our events. Do you think you were particularly sustainable before the role? How did your attitudes to the environment and your own behaviours change over the year you were with the team? I think I was relatively sustainable before I took on the role, but there is always room for improvement! Holding the position of “Sustainability Officer” certainly makes you a lot more aware of your own behaviours and actions, and when trying to implement behaviour change across an institution, looking at your own actions is often a very good place to start. What do you think the University’s strongest asset/project/policy is in it’s pursuit for sustainability? Again…the people! As a whole, I think our University community is very passionate about the local environment, and a huge number of fantastic initiatives have stemmed from the desire to make St Andrews greener and greater. By nurturing this enthusiasm and with the right support I believe we can make St Andrews an even more sustainable institution. Since my contract ended I have remained in St Andrews, but now work in the Admissions unit as an Education Liaison Officer. My job involves a lot of travel to meet prospective students, tell them about St Andrews, and offer advice and guidance on the application process. As a unit we are very aware of the impact our business travel has on the environment, but it is very encouraging to see us using alternative means of connecting with students when possible (e.g. Skype sessions and webinars) and alternative methods of transport (rail travel is encouraged, and we use E-Cars for travel to local events). Do you have any green new year’s resolutions for 2017? Because I undertake so much business travel I am trying to keep my personal travel carbon to a minimum. I invested in a huge travel guide full of ideas for places to visit in the UK and have a couple of “staycations” planned for this year so that I can explore more of what is right on our doorstep! Did you know that since partnering with The Furniture Recycling Group (TFR Group) we have recycled over 2,000 mattresses duvets and pillows? Every year, 4.3 million mattresses, including bedding, are sent to landfill in the UK alone. The University of St Andrews has an ambitious target to reach zero waste to landfill status by 2020. With support from companies including the TRF Group we are steadily making progress towards achieving this ambitious target, but what is a circular economy? Circular economies strive for maximum resource productivity aiming to minimise the amount of waste produced from the resource by seeking to extract and regenerate materials before the resource comes to its end of life. Circular economy seeks to have sustainable processes throughout the life cycle with the intention that as little of the resource should be wasted as possible. This process intentionally, and critically, analyses the processes of production, use and disposal of a product or resource, and exposes areas in which companies or manufactures can improve on to aid a sustainable life cycle . As the University strives for sustainability a switch to circular economy will not only help us in this process but help us to stand out as one of the leading higher education institutions for sustainable practice, process and delivery. Circular economies will enable us to nurture sustainable, and self-sufficient economic growth which will undeniably strengthen us as we seek to transition to a sustainable University. A fantastic opportunity arose for the University to partner with The Furniture Recycling Group to recycle and reuse donated mattresses, duvets and pillows. Donation points were set up in each hall of residence at the end of the academic year and students were encouraged to drop off any unwanted mattresses, duvets and pillows. The bedding was picked up by the company and processed and recycled the materials. These materials were then passed on to R&R beds who used them to fill new mattresses. This is just one fantastic example of a circular economy within the UK. Watch this space to see how we implement and drive circular economy infrastructure in the coming year…. A new year! A new greener you? At the beginning of every year many people around the world make New Year’s resolutions to drink more water, read more literature, visit a new country – the list could go on. Have you ever considered making a Green New Year’s Resolution? Here is your chance to consider changing something in your life to help protect and conserve our planet! Making a difference doesn’t mean doing all these things at once. Why not try changing one thing every couple of months. Living more sustainably should be easy and enjoyable, and not a burden! You might even find that by following some of these 10 steps you will notice over health and fitness benefits, and savings! Let us know if you decide to take on a Green New Year’s Resolution, we always love to hear from you. Transition Universities seek to promote sustainable behaviours, ways of living and scholarship on campus’ and in local communities. 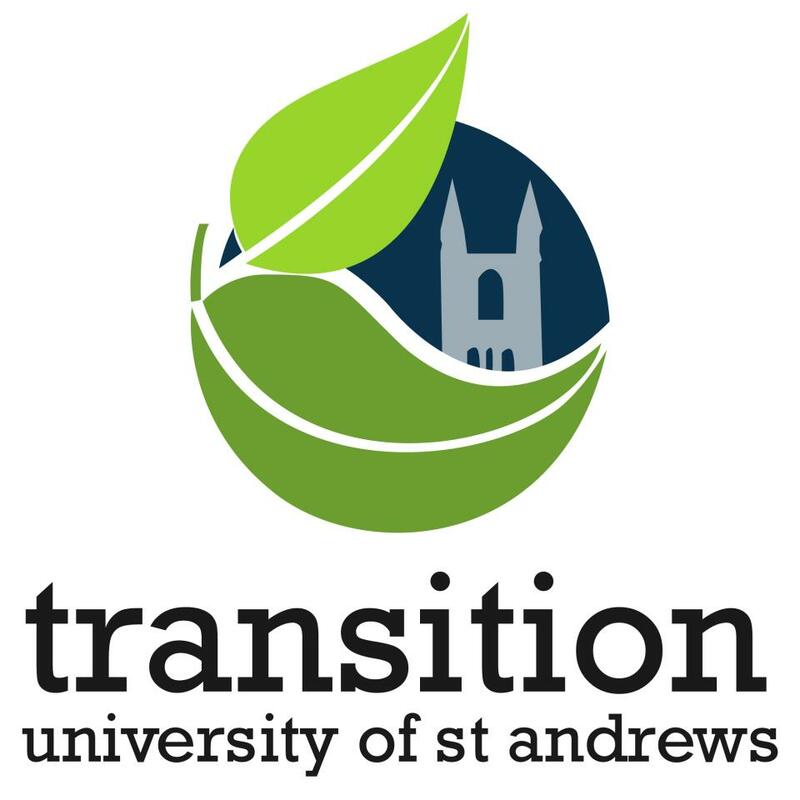 St Andrews Transition is a fantastic, welcoming and diverse community of people who are striving for low carbon ways of living through practical and creative ideas and activities. Why not consider joining this community in one of their projects whether that be with Bike Pool, Edible Campus, SkillShare, StAndRe-Use, Carbon Conversations or The Tree! If you are passionate about saving and protecting the environment, why not consider becoming and Environmental Champion, and help others to change their attitudes and ways of life to benefit our surrounding environments. The Environmental Facilitators network training is open the St Andrews’ University staff and equips you with the knowledge and understanding to make a difference in your workplace through personal changes and interactions with colleagues. If you would like to learn more please email environment@st-andrews.ac.uk or click this link. Now, we aren’t saying that everyone should become vegetarian right away! By cutting down on the amount of meat you eat, even by having one or two meat free days a week, you could reduce your carbon footprint! It is estimated that 1,800 to 2,500 gallons of water goes into a single pound of beef! Maybe it’s time to consider going meatless on Mondays? Try this website for some inspiration: http://www.meatlessmonday.com/. Remember, when you do eat make sure it comes from a high standard welfare farm! Fairtrade is fundamental to changing the lives of farmers’ and workers’ lives for the better. Fairtrade is an international movement primarily focused on improving trading conditions for farmers across the world. Fairtrade products taste wonderful too from chocolate, to bananas to coffee, the product range is expanding! Look out for the symbol when you next go to shop, and purchase knowing that your money is going to those who have grown in it for your enjoyment. As a Fairtrade University we recognise the impact we have on producers and communities throughout the world, and therefore are committed to increasing the use and sale of Fairtrade products across our campus. The University’s Fairtrade Steering Group is committed to engaging with staff and students to increase the awareness of the benefits Fairtrade brings to farmers across the world through social, environmental and security sustainability. If you want to join the Steering Group for St Andrews’ University email us at fairtrade@st-andrews.ac.uk. I know everyone loves to jet off on holiday across the world in search of some sun, vitamin D and temperatures that go above 20 degrees during the summer months! But, have you ever thought about exploring the country you call home? Scotland has some beautiful nooks and crannies ready to be discovered! Beaches off the coast of the west of Scotland can often be mistaken for the Bahamas with the mountains in the Highlands offering stunning views over deep valleys. Follow this link to get your holiday planning started: http://www.visitscotland.com/holidays-breaks/. How do you travel to work? How much travel do you do each week? One of the ways in which we can significantly reduce our carbon footprint is by switching to renewable forms of transport ie. walking, cycling, electric cars or switching to using public transport. For many, walking or cycling to work is a very viable option yet there are multiple factors stopping us from doing it. This year, why not give it a go once or twice a week and see the benefits to both your health but also your working day! 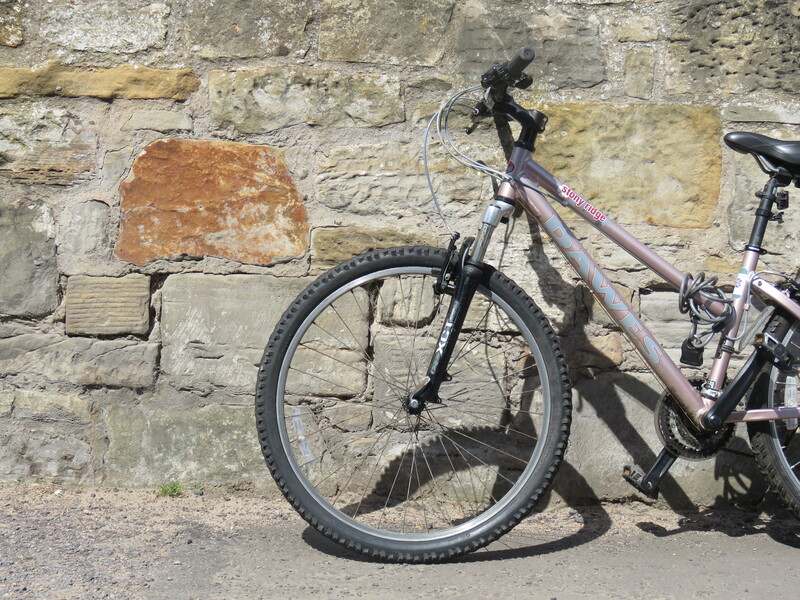 For more information on bikes in St Andrews, E Car club and car share please follow the links. Make your home more energy efficient by changing your light bulbs to LED bulbs, stall reflective radiator panels and using window insulation film and see your bills plummet! Reduce, reuse and recycle more! Consider areas that you think you are particularly wasteful and see if you can find creative and innovative ways to reduce your waste in 2017! Why not invest in a reusable water bottle and stop buying new ones? The University sells Keep Cups for hot and cold drinks, and if you use one in our cafes you’ll receive a discount. Pop a reusable bag in your car or handbag to escape those 5p bag charges at the supermarket and help reduce the amount of plastic bags in our environments! If you are student in St Andrews a fantastic way to kit out your student flat is to come along to StAndReUse giveaways at the start of every year! One of our team picked up a Christmas tree, lights and baubles for her flat this year! Do you have a garden? Do you use store – bought fertilizers? Making your own compost is not time consuming and may save you money in the long run, and is a wonderful way to recycle old plant based material. Follow the link here to find out you can make your own compost: http://www.bbc.co.uk/gardening/basics/techniques/soil_makecompost1.shtml.